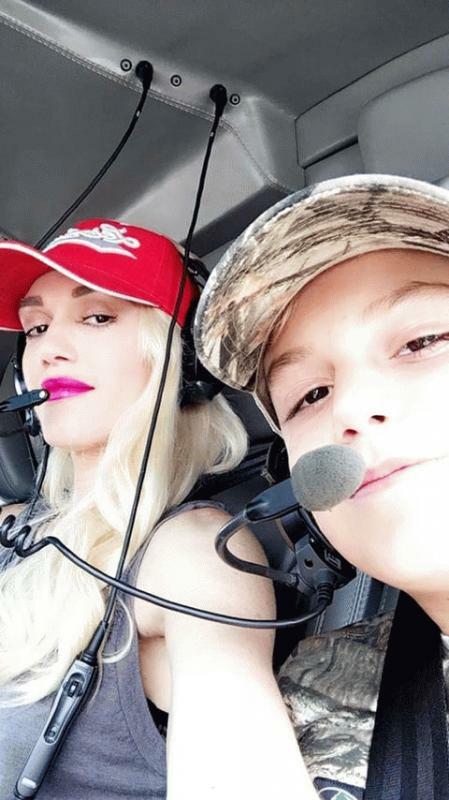 Los Angeles, CA, United States (4E) – Gwen Stefani is not obeying her estranged husband’s, Gavin Rossdale , requests that his children should not be around her new love, Blake Shelton, as the two “The Voice” coaches celebrated her son’s 10th birthday in an adventure-packed weekend. Kingston Rossdale just turned 10 and he, together with his brothers Zuma , 7, Apollo, 2, mom Stefani, and Shelton celebrated his special day in a Memorial Day getaway. The celebration was documented on Stefani’s Snapchat account. According to reports, the fun began last Friday when Kingston and his brothers enjoyed the outdoors. They went fishing and went riding on a dune buggy. The location of their adventures were unknown. Stefani posted clips from his performance. In one of the videos, she sang along to his 2013 song “Sure Be Cool If You Did” and Kingston was also seen mouthing the words. The outing comes after it was reported that Gavin and Stefani had a secret meeting in order to discuss her relationship with Stefani and how it is affecting their children. It was also reported that Gavin still has not moved on from his split from Stefani. These reports have, however, not been confirmed by the people involved. Stefani and Shelton started dating back in October 2015 following their divorces from Gavin and Miranda Lambert.